It’s still hurts when I read these discussions related to one’s favorite system to play fighting games on. I remember how MS / Xbox at some point was the preferred platform / environment for fighting games. It made me decide to go XB1 instead of PS4 during this generation. Don’t regret anything but just salty as a fighting game lover. Do most big tournaments run on PS4 machines or PC/laptops? Anyway, think KI would have been the standard for network/ online performance as well if MS had continued their support (there are more reasons obviously) or should I say, if MS had won the console war… Maybe not the most profitable genre of games but FGs have become important as an esports genre. Just rambling a bit. Thoughts on this topic? I don’t care what console it’s on. If I own the console, I can buy the game. Though I always support releasing fighting games on all consoles if I could. More people to give access to, the more money a developer can make. It’s a win/win. Well it also helps if there is parity between each system in terms of port quality. For example, Tekken 7, SC6, and DBFZ were not terribly good when they first released on XB1 because of optimization issues. I haven’t heard much of those versions nowadays, but it did make me glad I have both a PS4 and XB1 just because of things like this. I personally never cared for one system being above the others in terms of FG focus. Ideally I shouldn’t need all the systems to enjoy fighters, but this is the world we live in. EDIT: Sorry for the late edit, but life happened and I was away from a computer for a while. Honestly I felt my post was unfinished the first time around, but time was against me. If I had to choose any system right now to prefer it might be XB1. As a pad player I never really cared for how gimmicky the PS4 pad is (Don’t like the pedal triggers, Options button is the worst button in PS controller history, etc.) 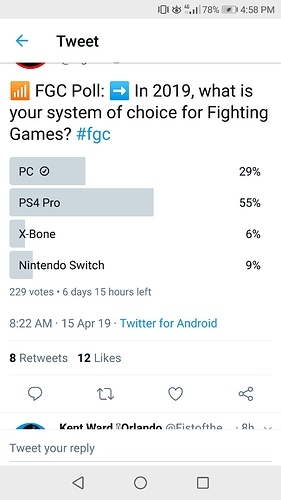 and most fighting games are Windows exclusive so PC is also not an option for me (plus I don’t have a good PC anyways). I also don’t have a Switch but wouldn’t see myself going far with it even if I did. No tournaments ever run in PC, and I doubt they ever will. Too many issues with the system, the performance, the controller options etc. it’s a mess. Right now they are all running on PS4, essentially. I only have minimal cares about this issue. There should be online crossplay for everything by now. I only worry about smaller market games like Samurai shodown where the Xbox online community might be small. I prefer Xbox one…always have. Im not fond of the PS4 controller on pad games like MK. Im not buying a fightstick for each console either so I prefer the xbox sticks I have with a convertor for the PS4 but there is a slight shut off delay sometimes due to the PS4 system shutting off the controller or some crap. Anyways… I dont know why everyone prefers the PS4…nothing about it is better than XBox IMO. ONly that it has a few fighting games XBox doesnt. IM getting MK 11 on xbox and switch… I wont even play the switch version often unless IM traveling. Isn’t this discussion or any progress on this hampered by the fact that Sony’s platform is the preferred platform for FGs? Yeah, but I have to say it’s a bit unfair to blame Sony. When you are in the number one slot you have the least to gain and the most to lose from crossplay. But developers need to do more to insist that this is included. If I can have crossplay between free to play card games in Switch and iOS then there’s zero reason we can’t have this on fighting games. 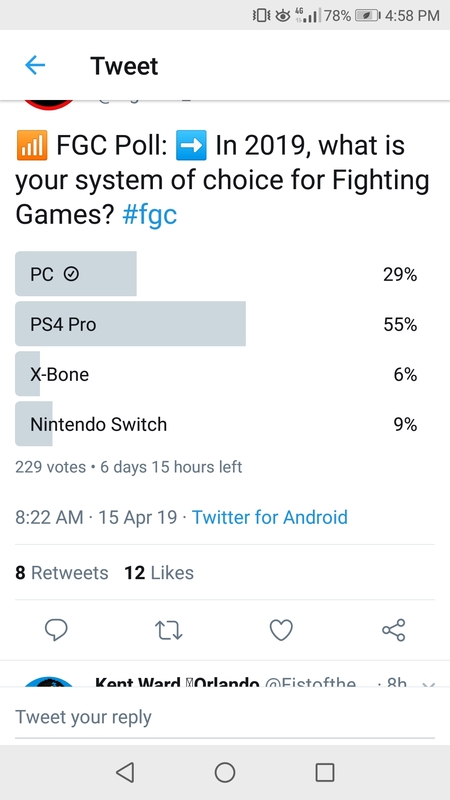 I’m going to have to go with PC, purely because we’re actually getting actual fighting game releases these days by the boat load! It’s amazing, I never thought I’d see the day when I didn’t have to use MAME or M.U.G.E.N. to get a fighting game fix on PC. It’s also nice not having to choose between console exclusivity for the most part as everything will eventually find it’s way to PC. It just feels like my patience eventually paid off and I was glad I didn’t buy on a console since the Wii to get the fighters that came to console, though I was tempted by the PS3 for a while. However, PC gaming was already ticking most other boxes for me and I eventually had to convert my thinking being someone with not the largest amount of disposable income. PC does everything I need well, including being able to play games and I didn’t want nor could afford another console rotting away. In short, I say yay to the PC fighting game resurgence!